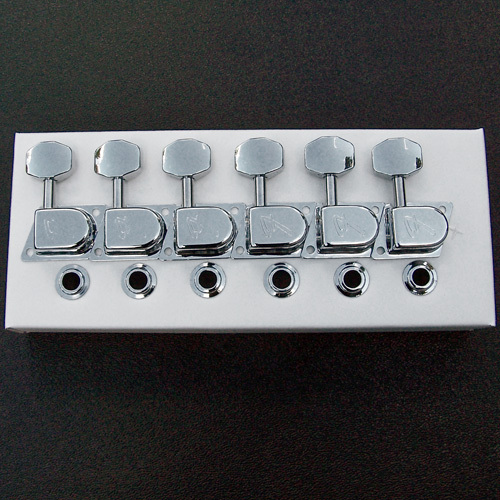 Genuine Fender® 70's "F" series tuners in chrome finish. Features "F" logo stamp on each tuning key housing, offset mounting tabs, and split tuning posts. Includes press-in bushings and mounting screws. Currently made in Taiwan.